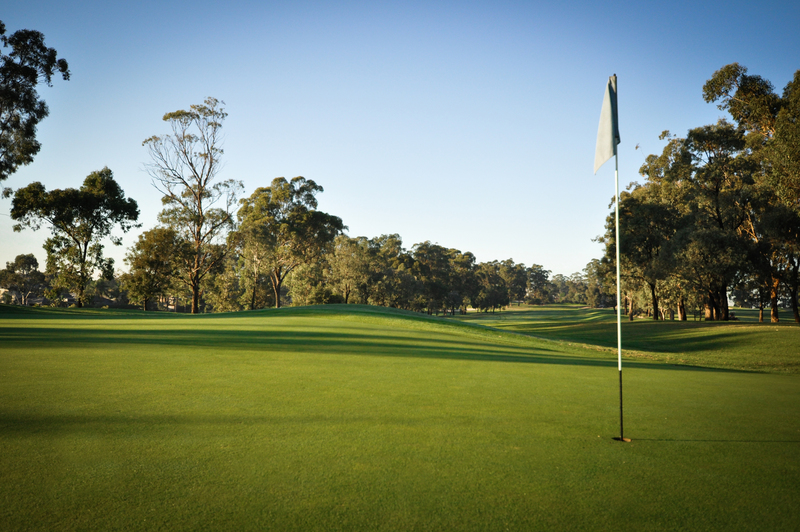 One of Western Sydney's most accessible championship golf courses, Cumberland Country Golf Club is the premier golf club in the heart of Parramatta area. Open to the public, this exceptional 18 hole Championship Golf Course is ideally located less than 6.5 kms from the Parramatta CBD and with easy links to the M4 Motorway. A majestic Woodlands Golf Course, with a welcoming vibe, right in the heart of Parramatta and the greater Western Sydney. Cumberland Country Golf Club is home to immaculate fairways & challenging greens, sure to challenge golfers of all abilities. Come for the course, or come for the view – enjoy a wonderful dining experience in the clubhouse with native views of Tallow Woods & Forrest Red Gums sweeping the greens. As true pioneers of resourceful investment, Cumberland Country Golf Club secured unlimited water from a nearby water storage basin resulting in a luscious green course that our members love and visitors admire so much. Cumberland Country Golf Club is exceptionally proud of their clubhouse facilities. Rich in both history & character. A friendly service and the great function space makes the clubhouse the ideal choice for your next special event in the Parramatta area. The course is primed and ready for the long weekend, get yourself down here for a hit. Due to scheduling changes to the US Masters Telecast the Cumberland Masters Breakfast is unfortunately cancelled. 9:30am shotgun Medley stableford will proceed unchanged. Coverage for the final round of the US masters will commence at 11pm tonight on Fox Sports channel 505. With the U.S Masters underway and the sun shining at Cumberland who else is excited for a cracking weekend of golf? The U.S Masters is upon us! Who will take out the title this year? Come and cheer on your pick at the 2019 Cumberland Master's Breakfast as we watch the final round of the Masters on the Big screen with a delicious buffet breakfast provided by Harmony at Cumberland for only $20pp. Open Medley Stableford & 2 Ball All Ways Stableford immediately following the telecast. Shotgun Start. $15 Members - $35 Visitors. I am very pleased to announce the Cumberland team squared their match today against a red hot, nothing to lose Carnarvon team, and in doing so has won the Western District 1 Pennant and trophy for 2019. The ladies had a few prematch nerves however held it together to come away with the square result that was needed to win the overall competition. Thanks to the other team members Angela Yang, Eun Park and Matilda Hwang who also played matches during the competition, and as always thanks for the support of all the Caddies each week. Our first year back in this competition and a great win to Cumberland! In difficult, rainy conditions today at Massey Park, Cumberland played against the current equal 2nd place Strathfield team. Our team is very focused and really enjoying the competition, coming away today with a fantastic 3:5 to 1:5 win. As the leaders Liverpool lost their match today, Cumberland is now out in front leading the competition by 1 point. With the final on Monday 8/4/19 at Stonecutters Ridge, our Ladies are in a great position going into the last round. Wishing the team all the best for Monday and hoping Cumberland brings home the Pennant!